Yesterday’s MARUAH post-elections forum was part analytical, part group therapy. For the many opposition voters there, it seemed a cathartic experience. VMA, as one participant described it, i.e. not Alcoholics Anonymous, but Vocal Minority Anonymous. For me, aside from the camaraderie I felt with many people there, new friends and old, it was also an honour to be on stage with my former teacher, Braema Mathi, president of MARUAH, who taught me at St. Andrew’s Secondary School in the early 1990s. It was also a great treat to share the stage with such a varied group of speakers, including Alex Au, migrant worker and gay rights activist and a friend for many years, Derek Da Cunha, a political analyst, Rafiz Hapipi of MARUAH, Jack Lee of SMU, and Terry Xu of The Online Citizen. I learned a lot from all of them; and when the video recording is ready, I will post it here, so you can see what they each said (update: videos ready, see the end of this post). But for now, I just want to share the three questions I posed yesterday during my presentation. Did populism win or lose? Do Singaporeans ever want an alternative policy platform? The answers to these questions, I believe, will tell us a lot about the evolution of Singapore’s democracy over the next 10-15 years, if not the next five. These are incoherent thoughts, and perhaps contradictory. But anyway, here you go. Any comments and responses of course welcome. 1) Did populism win or lose? Before discussing populism in Singapore, let’s look at what’s happening around the world. First we have the rise of extremist parties, particularly in Europe. Think of the radical left, e.g. Podemos in Spain and Syriza in Greece. Then we have the radical right, whose main goal seems to be migration control. Think of the National Front in France; and the Danish People’s Party (DPP), which won 27% of the vote at the European Parliament elections. If you think your organisation has a pithy Mission Statement, consider this: the DPP was founded because of “too many immigrants”. But this is not only a fringe phenomenon. Mainstream parties are being pulled to the sides. The two candidates who have energised the US presidential primaries are Bernie Sanders, who is well to the left, and Donald Trump, in many ways well to the right. Finally, the recent election of Jeremy Corbyn as leader of the UK’s Labour Party represents the most leftward shift in a major party in a developed country. Much has been made of Mr Corbyn himself, but John McDonnell, his new shadow chancellor, i.e. finance minister, is also full of interesting soundbites. Now we all know that Singapore’s democracy and electorate are infinitely different from almost every other country; nevertheless, it is worth observing trends elsewhere. There may be some lessons for us. So the conventional wisdom following the PAP’s thumping victory is that populism lost. The Singapore electorate was smart enough not to be seduced by Roy Ngerng’s handouts, by anti-immigrant ideologies, by the SDP’s socialist healthcare and housing proposals. And hence, the great thing about Singapore’s democracy is that the electorate is not vulnerable to populists or populist ideologies. But the truth is, maybe populism won—the PAP’s populism. After 2011, we have arguably seen a slew of populist measures. The most obvious have been the crackdowns on foreigners. Fewer PR and citizen applications processed. Much harder for businesses to hire foreigners. Strengthening of citizens rights and privileges vis-a-vis non-citizens, for instance in school fees. One could classify the above as mild right-wing populism. Then we have the healthcare measures: Medishield Life and the Pioneer Generation Package. One could classify the above as left-wing populism. So maybe the truth is not that populism lost, but that the PAP’s populism won. If one looks at the evolution of the PAP, 2011 marked a huge departure from its modus operandi. One of the main reasons some political analysts gush about Singapore’s one-party state is because of its ability to prioritise long-term planning and policies over short-term demands. But, post-2011, for the first time in its history, perhaps, we actually saw the PAP responding to short-term electoral demands. Now the rights and wrongs of this, and the reasons why—some “blame” the WP—are beyond the scope of this piece. What I simply want to say is that maybe populism won. And thus, maybe the Singaporean electorate is more primed to populism than some analyses suggest. That, in turn, should have implications for how the PAP and the opposition evolves. 2) Has political apathy returned? 2015 has arguably seen many so-called political “rehabilitations”. Chee Soon Juan, Tin Pei Ling, Lee Hsien Loong. Have we also seen the rehabilitation of the apathetic Singaporean? Recall that one of the takeaways post-2006 and post-2011 is that the apathetic Singaporean is dead. Now, finally, Singaporeans have found their voice. The global trend where a political awakening follows rising educational and income levels had finally, at long last, snared Singapore. But maybe apathy never went away. Maybe Singaporeans are really just concerned about bread-and-butter issues, nothing else. Once those are solved—or perceived to be solved—there is really no need to be engaged as a democratic citizen in the country. Maybe, in fact, the polity is much more homogenous than we think. And even amongst the more worldly, more educated, more “intellectually engaged”, I get the sense that many want a sort of popcorn democracy. Every few years, come election time—they get excited, they read the news, they feel some democratic stirring. But in between those elections, they are unwilling to engage with the messiness of democracy, to speak their mind, to push for change they might believe in. Take civil service cronyism. We now have clear evidence of cronyism, as in the Brompton Bicycle Case. If one thinks about possible cronyism at both Gardens by the Bay and in MINDEF (see here), then we are talking about a much more systemic problem. Several people now, inside and outside, have complained to me about “the rot” in the civil service. I’m not sure I would necessarily go that far. By almost any benchmark our civil service is one of the most efficient and clean in the world. Still, what worries me in this popcorn democracy of ours, is that people just don’t care. They hear the stories; they gasp; and then they carry on with their lives. This includes many PAP supporters, who are afraid of interrogating possible civil service lapses because of possible electoral repercussions to the party itself, i.e. the conflation of party, civil service, country can help the PAP, but it can also hurt it. Some people say they accept there will be “leakages” from the system, but they don’t care. Because any leakages in Singapore are less than in other countries. Of course, apathy is present in many countries, even the most developed of democracies. There is tremendous political apathy in places such as Japan and the US. But those places have robust institutions, such as the media, that can check the ruling party. Voters there can, in a sense, afford to be more apathetic because some pesky reporter is bound to uncover, say, the expenses scandal involving senior politicians. Not so in Singapore. Today we have a combination of a dominant party, brimming with confidence, an apathetic electorate, and almost no mature non-state actors that can check the party or government institutions. Ownself check ownself. It is a dangerous combination. Some will feel they can operate with impunity. The only thing that might jolt voters out of their apathy is a major crisis. We just have to hope that the government will remain as clean as it has always been. And maybe it will. One final thought on the apathetic Singaporean. Surely part of the reason why many liberals and progressives were so shocked by the results is that we discovered what a small minority we belong to. The realisation, perhaps, that the vast majority of Singaporeans don’t care about fuzzy concepts like democratic rights and civic participation. 3) Do Singaporeans ever want an alternative policy platform? In this election I observed the existential crisis facing opposition parties: do they want to provide Singaporeans simply with a checks-and-balance function, or do they want to offer a proper alternative platform/government? My suggestion here is that yes, the electorate does want alternative voices, but it doesn’t really want alternative platforms. The checks-and-balance function is fine, but once a whole platform is presented, maybe the electorate at large is scared off by the thought of large-scale change. Hence, for the opposition parties, alternative platforms are a double-edged sword. On the one hand, they need the platform for its signalling effect—to show that they are serious parties with serious thinkers. But once they actually have the platform, they become, in a way, unelectable—because then a large segment of voters gets worried about the Singapore they know dying. So—should opposition parties even have a proper alternative policy platform? Or should they simply forever be PAP Lite? Perhaps Singaporeans just want the veneer of democracy? I want to see the PAP reduced to a minority party in Parliament or booted out of the political arena altogether; more than 50 years of living under a govt helmed by the PAP is enough for me. Some of the past years have been very positive for me, under PAP political leadership. But for the last three decades, my vote has gone against the PAP. PAP has gone wayward or astray in their stewardship of the nation – and has been blatantly dishonest in their gerrymandering and GRC antics. Certainly not the party it once was. That’s my take of course. And I don’t expect to see eye to eye with those who voted for them in GE2015. It is a little disappointing to hear that progressive / liberal voices might be in such a minority. Perhaps a sizable chunk of the liberal voices left? I have Singaporean friends who live Australia, US & UK now, as does family – none of the people I have spoken to want to go back to the systems that fostered us despite the material comforts of living in Singapore. Most of us abroad lean left and for those who follow Singaporean politics, the idea that there might be a viable alternative party is manna. Was at d forum n I felt d same sentiment, that we r VMA. But as I looked around I was heartened to see a crowd of mostly young people (I m 68 n those below 50 r young people) listening intently to d speeches. It does not matter if we r a VM for it is from d vocal minority that a leader or 2 emerge-someone who has d guts n gumption to rally n lead both by persuasion n action. I would probably have 2 to 3 chances to put a X on a voting slip in my lifetime. Till then I hope to see u young Singaporeans bloom to become advocates of a democracy of our choice that is uniquely Singapore. Best wishes. NIMBYs and WIFMYs will set the tone of our societal fabric. Pre-GE2015, PAP have pandered (and post-GE2015, PAP will continue to pander) to their needs. NIMBY=Not In My Back Yard. WIFMY=What Is-in-It For Me Yau-kwee. As a nation, we will “aspire” to downgrade. Once National Dev Minister effects his pre-GE2015 comments into policy that all Singaporeans should be entitled to buy HDB BTOs, we will all downgrade to HDB flats, wait out the 5-year Min Occupation Period and then buy investment condos/landed properties. As a consequence, the current 66% of SCs/PRs who qualify for something as basic as Medishield LIFE premium subsidies will rocket to 100%. An entire nation addicted to public subsidies (eg, GST Vouchers, U-Rebates, CHAS, etc). Uniquely Singapore. Checks-and-balances in Parliament – nice to have idea but not in my constituency. East Coast GRC and Marine Parade GRC are obvious NIMBYs whilst Aljunied GRC/Hougang SMC bear this torch. Once Low Thia Khiang steps down from politics, all will be PAP wards. Uniquely Singapore too. New Mints (many of them already in People’s Association grassroot entities) will flex their political muscle as our population surges towards 6.9mn population planning parameter. 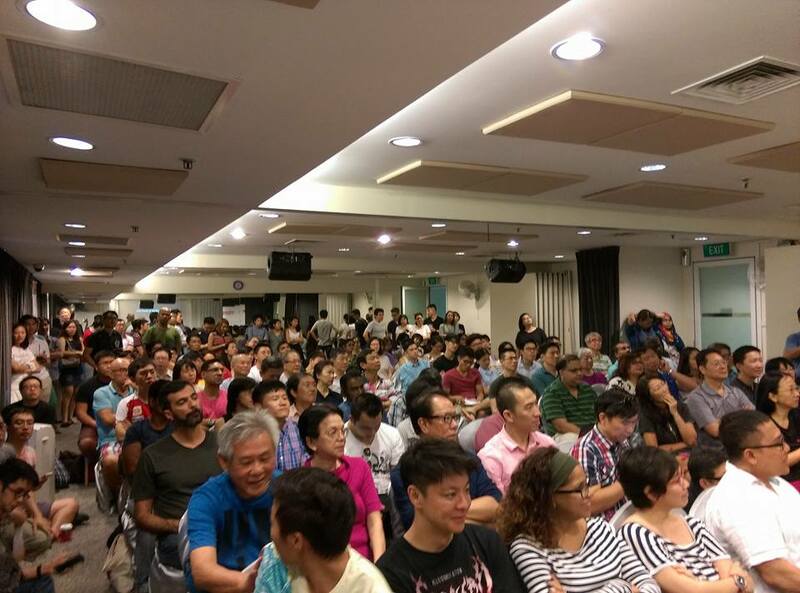 Some fully intend to be Single-Generation Singaporeans, intent to milk the system to the max. Almost all have no sense of shared history anyway. Their WIFMY instincts will be even more sharply dominant. The signs are already here: It is telling for PAP MP Gan Thiam Poh to pose the Parliamentary Question pre-GE 2015 to grant citizenships to (A) elderly parents and (B) spouses of New Mints (even proposing fast-track SC for the latter with more than 3 kids). Even more telling is for PM Lee to transfer MP Gan (who speaks better Hokkien than English) into his Ang Mo Kio GRC for GE2015.